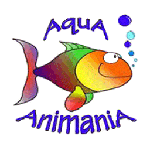 AquA AnimaniA is your #1 local source in Windsor, Essex County and Beyond, for aquarium pumps for freshwater, tropical, saltwater and reef aquariums of all shapes and sizes! Aquarium pumps are essential water circulation devices for freshwater and saltwater aquariums. These powerful and versatile water pumps are commonly used to drive different aquarium filtration units. Choose from our selection of quality water pumps to suit your particular aquarium setup. Be sure to inquire, or visit our store in person, to see the complete aquarium pump selection we have available, in-stock. We can also special order unique items and other products from our vast network of national and international partners and suppliers. We provide friendly, expert advise and tips plus carry a full line of aquarium kits, aquarium filters, aquarium heaters, aquarium supplies, aquarium tanks and an endless selection of aquarium accessories and much more! Aquarium water pumps provide circulation without currents. Water pumps have higher flow rates (GPH = gallons moved/hour) than powerheads, making them ideal for large tanks – for currents, add 1 or more powerheads (for more on water movement see our full-length article). We carry submersible and external aquarium water pumps for circulation or high pressure setups. Clean filters regularly – if they clog, your flow rate slows dramatically. Browse our water pumps by top brands, or scroll down for a sample selection!